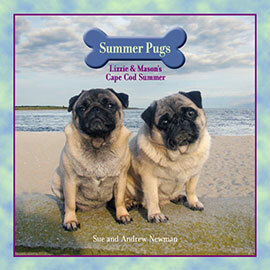 Summer Pugs is 48 pages and measures 7 1/2 inches square. 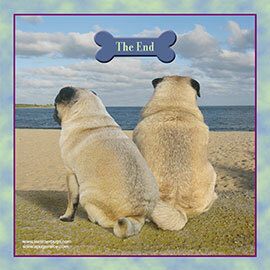 It is beautifully printed in full color on coated stock. The book is $19.98 through Lulu.com. Shipping is free for the summer! 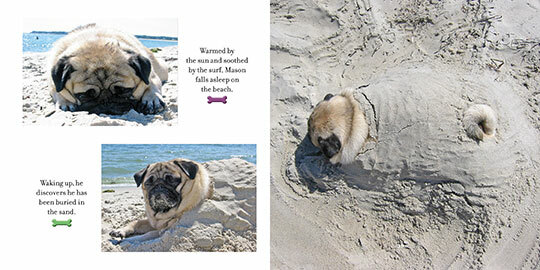 Above is a spread from the book showing Mason waking from a nap and discovering he has been buried in the sand.